Vagaro.com, the leading provider of scheduling and marketing software for salons and spas has added another feature; the ability to sell gift certificates to clients from their Vagaro.com websites for goods and services. Salons and spas utilizing the Vagaro.com salon software can take advantage of this unique feature at no added cost. Clients can purchase gift certificates from an easy to use interface from the salon or spa’s website for a specific service or cost and print or email the gift certificate to the intended recipient. The unique website included with the Vagaro.com salon software also contains the business’s contact information, a menu of services offered, a list of service providers, client reviews, online booking, and more. For businesses that would like to sell gift certificates and allow clients to place their appointment online from their own custom website, Vagaro.com offers an easy to install and customizable widget at no additional fee. 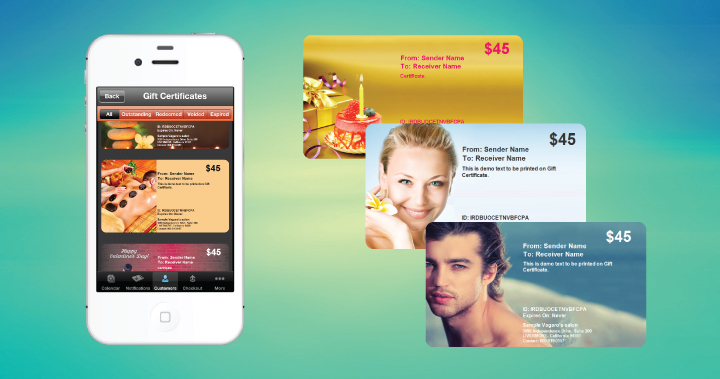 Once the gift certificate has been purchased the business utilizing the Vagaro.com salon software has the ability to view detailed reports of their sales.